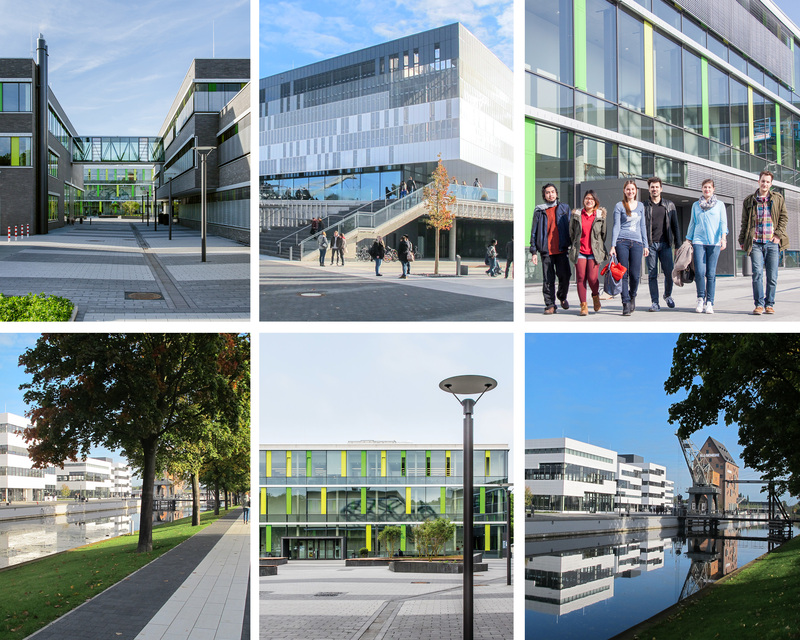 Do you consider studying at Rhine-Waal University of Applied Sciences? Would you like to find out more about campus life or our English degree programmes? But you live too far away to join our Open Campus Days? Here is your chance to have the Rhine-Waal University experience from your home! After the presentation you are welcome to ask questions during the group chat. Moreover, tutors from the Welcome Centre will introduce themselves and talk about their experiences at Rhine-Waal University of Applied Sciences and we show you some impressions of our campuses in Kleve and Kamp-Lintfort. Our Virtual Open Day is addressed mainly to international prospective students, but all German prospective students are welcome to join this online event, accessible from all over the world. Please register here to participate. You will receive a confirmation email with the link to the webinar. The registration is open until 2nd May 2019! Note: We can only assure that you will have no technical difficulties when using Google Chrome as the internet browser when attending the webinar! Please make sure that you have Google Chrome on your device when joining the webinar.